In this age of social media and visual exposure to a person’s private life via pictures, it is very easy for one to deduce what is going in their favorite entertainer/celebrity’s private life. Seeing as this same celebrities post everything on their social platforms, giving easy access to bloggers and the likes. They only know what you feed them only if they dig deep and do investigative journalism on exclusive scoops and inside news. 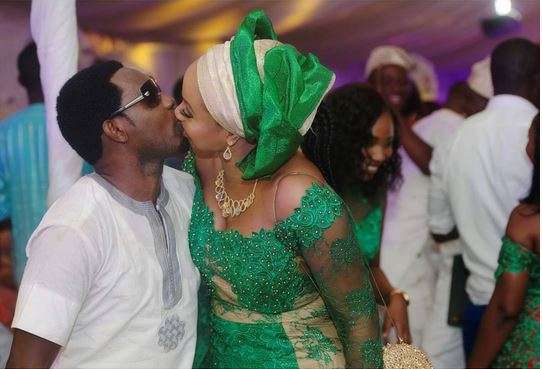 One of these star figures in the news this week is popular NIGERIAN Comedian and his gorgeous interior decorator wife, Mabel. Seeing as no one really knows where this story is leading to, the originator of this exclusive news has refused to lead us to the finale or give us closure on the gist, so it is very much incomplete. This is just the A-Y, as we await the Z, we will tell you what we know thus far. I can respect her decorum in not trying to further compound their issues, but how dirty can it be? AY who is currently abroad shooting his new movie, didn’t respond immediately, he later went on his social media page to air his thoughts on the breaking news. Binding and casting such news and telling bloggers to mind their businesses… Not really affirming or debunking the rumors. His fans and trolls alike have aired their 2 cents, even OAP of Cool FM Freeze went as far as penning down an open letter to the couple urging them to build their home and not toss in the towel. He himself is divorced from his wife of many years. Mabel has gone forward to delete her instagram page. We wish them the best in these times, this is one couple that no one saw their unfounded split happening. They seemed so well scripted and put together.